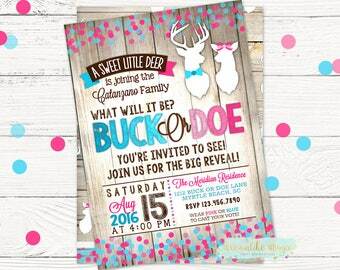 Buck or Doe...join us to see! 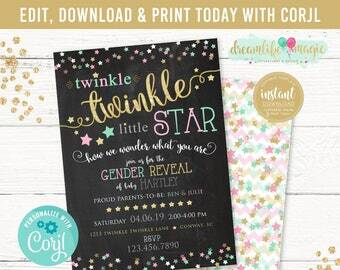 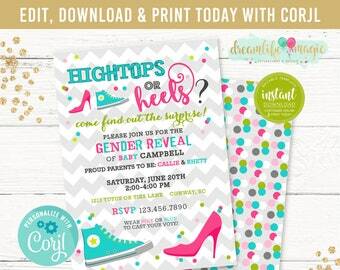 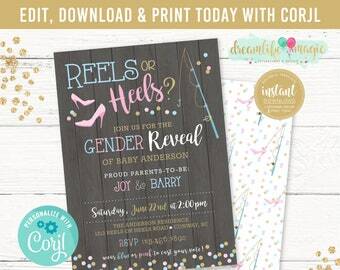 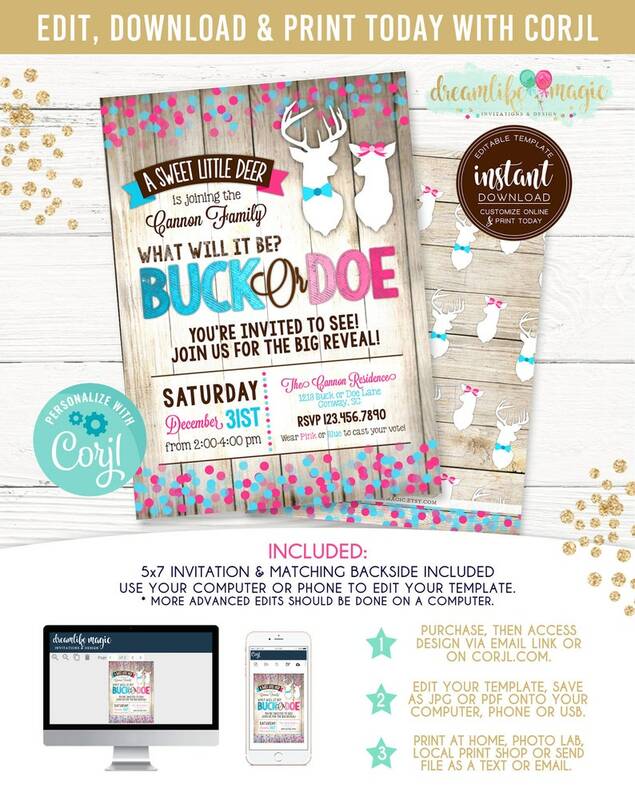 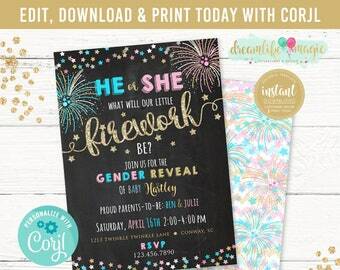 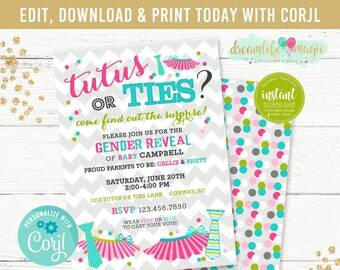 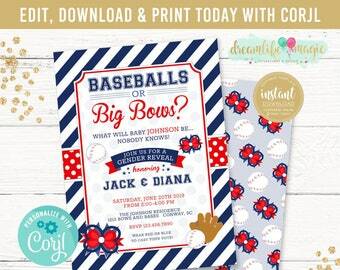 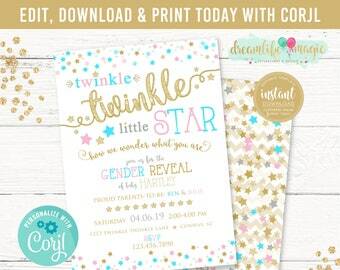 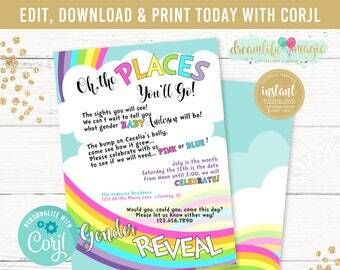 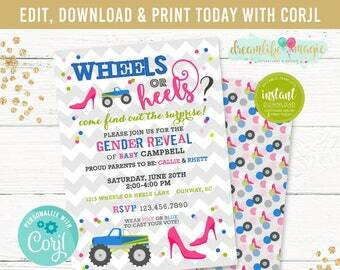 Do It Yourself with our Editable Invitation, which includes a 5x7 invitation and coordinating backside file. 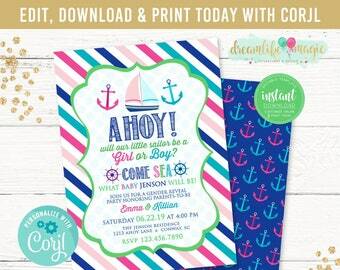 Want us to customize and or print for you? 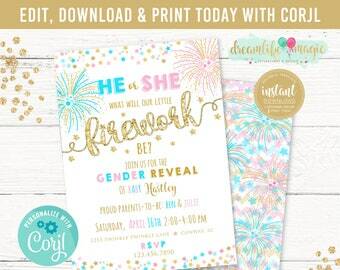 Please send us a convo for pricing!